Halfway through another week and despite the cool temps and rain we having been getting so far this week we are promised warmer temps and sun this weekend! I'm loving that. Here's what else I'm loving. . . I'm loving this photo of my nieces from the day we did the "bunny photos" and I just love it. They pretty much did this pose without being asked and the photographer just couldn't have asked for better models! They may fight once in a while but I love that they are such close sisters! I'm loving that I got to celebrate Kate's birthday last week. 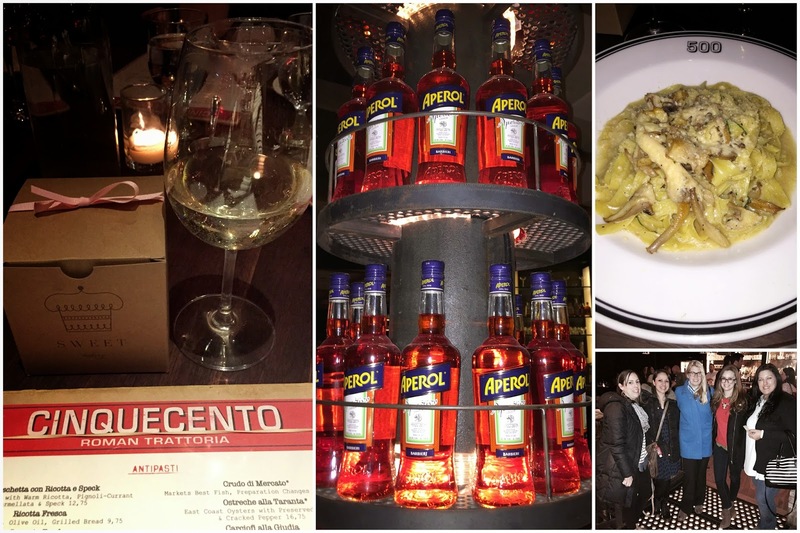 We went to dinner at Cinquecento in the South End and it was delicious. This restaurant has such a great atmosphere! I'm loving the community art project we've come up with this year for our annual MAAV Walk. I might be giving a sneak peak that I'm not suppose to give but I know you guys won't tell! The photo on the left is a "sample" done by another group. 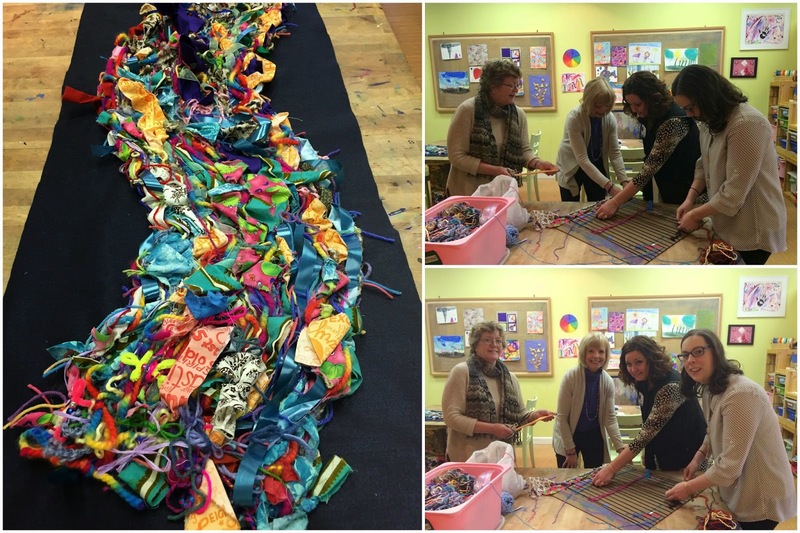 Basically it is a weaving project that will go along with our entire theme for the 20th Anniversary! I love how the community is such a big part of MAAV! 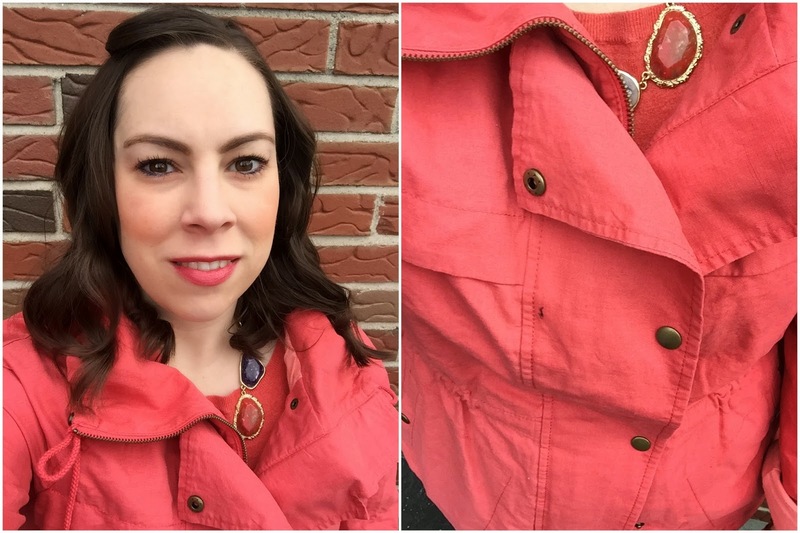 I'm loving my coral spring jacket that I had to buy in winter! You know how the stores like to put things out an entire season early. . . well I saw this in Feb at the Loft Outlet and I knew if I didn't grab it then it would be gone. I'm glad I did and I was so happy I could finally wear it the other day when it hit 60 degrees. Now it is back to 40 so may be a few more weeks before it sees the outside again! Lol! 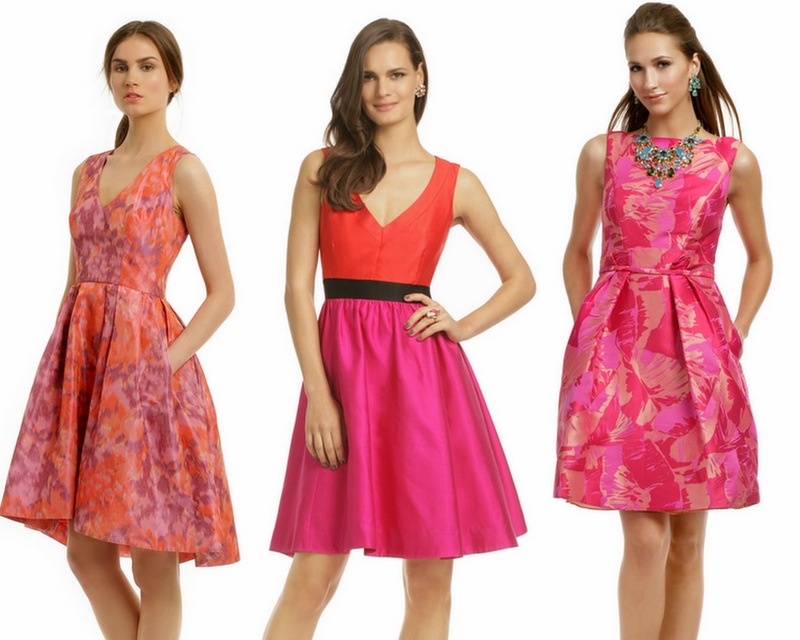 I'm loving all 3 of these dresses on Rent The Runway and I'm thinking I might finally have to try it out for a friend's wedding in May. But what if I order one (or two) and they don't work and then I have nothing to wear the day of the wedding?! Which one do you like best?? Now it is your turn! 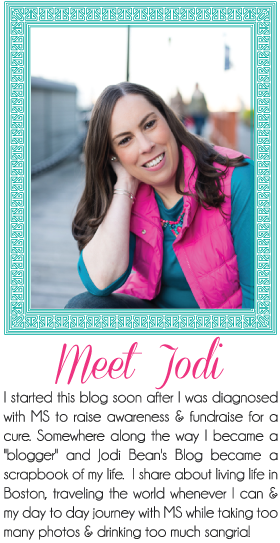 Link up with Rachel and I and tell us what you are loving this week! Please share our button or link back to us! Your nieces are too cute! And coral is def your color. Your nieces are adorable! That jacket is gorgeous! Good thinking, getting it when you did. love that coral jacket. the girls look adorable! thank you so much for your comments on yesterday's post. your words are a comfort. Your nieces are adorable. Love your new jacket! Perfect for spring. Now Spring just needs to show up. I love all the bright colors on your post this week! Looks like you too have had a great week! Your nieces are so cute, and dinner was a blast.